Earlier this month, the Lalitpur Metropolitan City installed a coin-operated water dispenser kiosk outside its office building. The city authority had partnered with the Kathmandu Valley Water Supply Management Board to introduce the ‘Water ATM’. The machine cost a whooping Rs 1 million. Barely 200 metres away from the office of the metropolis, two ancient water spouts—Chhaybaha Hiti and Natwa Hiti—are falling into decrepitude. “Everything was in working order before the earthquake blocked the outlet of Natwa Hiti. The place has turned into a pool,” said Nirmala Shakya, a resident of Na Tol. Some Na Tol locals have released fish in Natwa Hiti to get rid of algae build-up after seeing the water in Chhayabaha Hiti covered in green slime. Chhaybaha Hiti and Natwa Hiti are among dozens of traditional spouts in Lalitpur facing threat. Out of 61 recorded water spouts in the city, seven have disappeared, seven others have dried out and the remaining 47 are in threat, say concerned stakeholders. Min Maharjan grew up playing around Natwa Hiti and Chhaybaha Hiti. He says the sorry state of the two spouts make him sad. “I used to make paper boats and release it on the water drainage of these spouts. I would then run and meet them at Patan Dhoka. It is just a memory now,” the 53-year-old reminisced plaintively. Most of the water spouts in Lalitpur were built during the Malla era, making them an integral part of the city’s history. But it seems that the authorities, blinded by the aspiration for modernity, are ignoring the city’s heritage. There is no plan, at least in the immediate future, to restore these spouts. 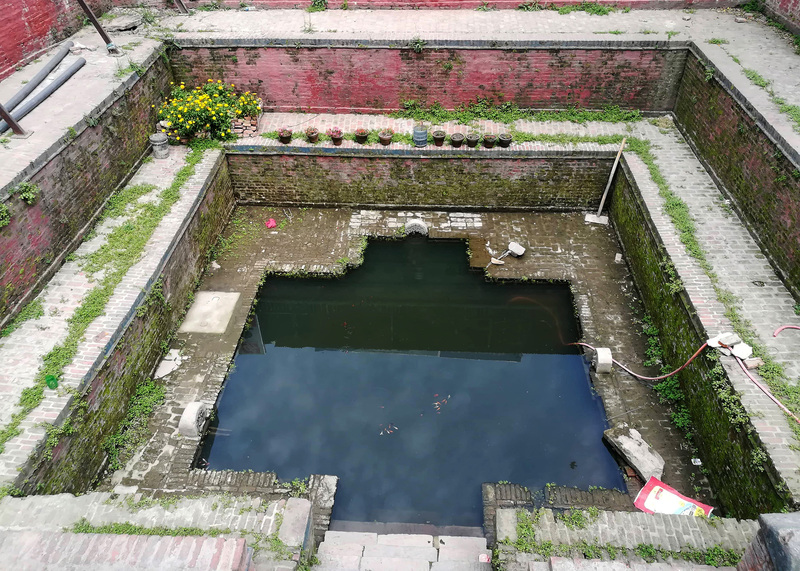 “The city has not allocated any budget for the restoration of these stone spouts,” Chandra Shobha Shakya, senior architect at the metropolis’s office, said.